Home » Case Studies » Project Success Review: Write the Right Story! Project Success Review: Write the Right Story! Time and again, projects implemented by solution vendors the world over have continued to face the same seething problem – lack of appropriate and verifiable metrics to capture the benefits of the project to the customer. Talk to the teams on both sides and they have stories to share to last a life time and these promptly form a part of their pride and profile. Further plaguing this inability to capture the right story of a project is the initiative of a project case study taken up much later, when most relevant stakeholders have disappeared into different roles or organizations. Every successful project implementation has one or more lessons to share, we believe at CSAT360, and it is a loss to the industry as a whole if the same is not captured and shared and learnt from. Project Success Review is a methodology evolved to correct some of the anomaly and offers Feet on street consultants to take up reporting on the project success methodically, accurately and at the right time. 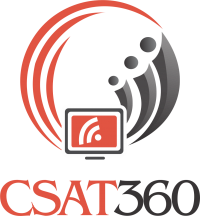 Please contact casestudy@csat360.com for further details of the same. There are some inaugural offers designed for those ready to try!